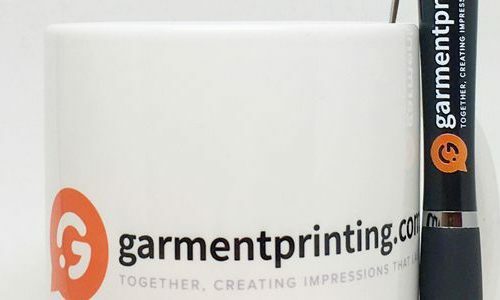 Garment Printing provides a large range of customisable promotional and corporate gifts in the UK. We supply promotional and corporate gifts to every industry and all of our products are sourced from the best suppliers around the world to ensure that all of the products we sell are made to the highest possible standards. Branded promotional and corporate gifts provide you with long-term advertising and the impact of this can potentially be huge for your business. The majority of people who receive promotional and corporate gifts keep them on average for two years and 86% of recipients admit to actively using the items at least once a day. Our range of products are also perfect for branding and we use the latest, state-of-the-art printing machinery to fully customise all of the products that we sell. We use a number of different personalisation techniques, which means that we can fully customise all of the products while sticking to your brand guidelines to ensure each product is an accurate representation of your brand. Our printing techniques allow us to create any design and we can also Pantone colour match to ensure that the branding of your corporate gifts matches that of your company and brand. Our expert, friendly staff are on hand to help you with any design issues that you may have and they can also talk you through the different printing techniques to ensure that your printing is achieved exactly how you imagine it. They will discuss the best options to not only recreate your design but to also help you keep with any budget limitations that you have. If you’re looking to add promotional and corporate gifts to your advertising and marketing strategy, contact us now to find out what options and products are available for you.